You want to feel inspired when you sit! Our intention is to bring you potent, guided, online group meditations that open hearts, expand quietude, and support your practice. Please note it is extremely easy to join a class, but you must do so correctly depending on your device. See instructions below for computer vs smart device with video and how to simply dial in using your telephone without video. Once you register, you directly enter into the session, so you will want to do so a few minutes before a scheduled class. Click REGISTER to join a class. Positive Beginnings – It’s a Brand New Week! Chuck is a gratefully retired psychologist. He spent most of his professional life working with alcoholics and drug addicts. He has lived in Texas all his life and in Austin since 1973. 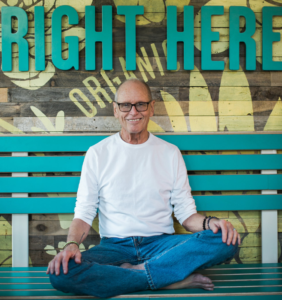 Chuck believes that meditation can change the world — truly and literally. It has changed his life in many positive ways. Chuck came to meditation, yoga, and Eastern Religious studies at a crossroads in his life that included two consecutive life-threatening illnesses. 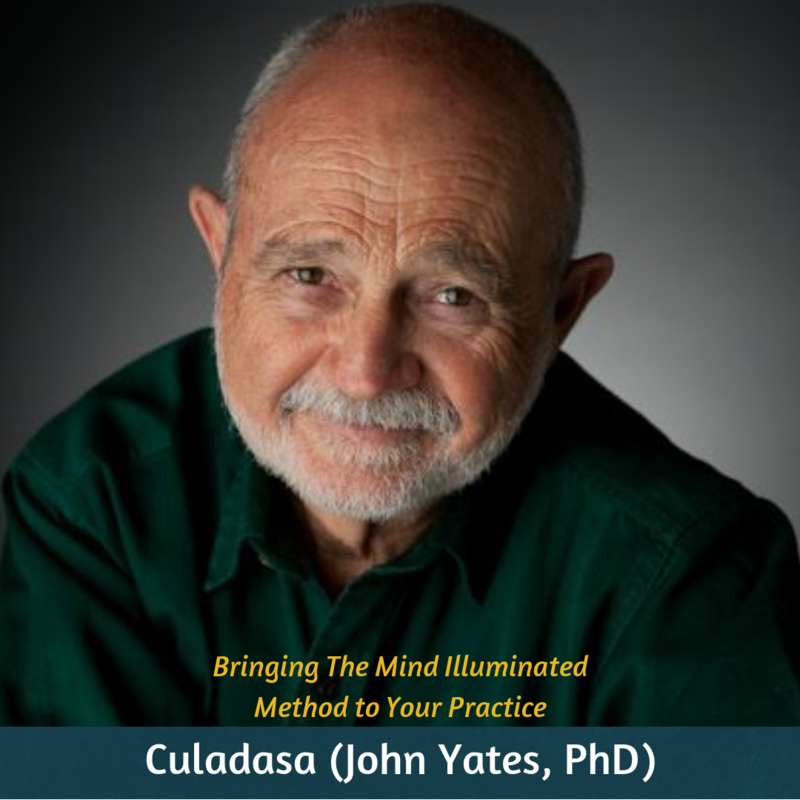 He believes that meditation practice, especially group practice with other meditators, played a major role in his recovery. Chuck leads the Monday early MO8 class because of that day and time, he keeps it simple. Class begins with brief introductions followed by a simple body scan to identify and relax body tension. Participants privately identify their intention for the day and then slip into 15 minutes of silent meditative concentration. Chuck closes the session with a brief reading, leaving participants with something to ponder throughout the day. Chuck is something of a water freak. He likes to be around, in, or on water as often as he can. He loves camping around lakes and swimming in lake water. When on dry land, you can find him reading, studying, and writing. Chuck has one published novel and is writing a second. Three much-loved dogs keep him company and his wife of 43 years keeps him in line (kinda). Listen to a 20-minute guided meditation with Chuck (Google Drive). Karuna is the Founder and Executive Director of Mind Oasis. She believes in the power of meditation to help us lead more engaged, humorous, and joyful lives. It is her passion and dream to see 1,000,000 meditators come through the virtual doors of Mind Oasis in the very near future. You can expect humor, ferocity, and grounded instruction from her classes. When she isn’t meditating or building the Mind Oasis community, you can find her climbing or hiking in the mountains of Colorado with her husband and dogs! Karuna completed the 300-Hour Dakini Meditative Teacher Training with Kelly Lindsey in 2017. Listen to a 26-minute guided meditation with Karuna (Google Drive). Dana recently relocated from Austin, Texas to Buena Vista, Colorado, a small river town with towering mountains, amazing weather and warm people. With this fresh transition, Dana is looking to reconnect with herself and with nature by spending most of her time in the outdoors – or at least with her windows fully opened most of the day! Dana sees her role in the world as connecting with people so that the ripples of compassion will carry out into the world. Dana feels that by learning to slow down and listen to ourselves, we can do the same for others. Dana’s meditation classes have a similar cadence and vibe to gentle yoga. She emphasizes listening to your body and on consistency in practice. Dana loves being in nature — walking, biking, boating, doing yoga. Sharing conversation and meditative experiences with family and friends is very important in Dana’s life. Dana completed her 300-hour meditation teacher training with Kelly Lindsey and her 500-hour yoga teacher training with Gioconda Parker. Listen to a 28-minute guided meditation with Dana (Google Drive). Natalie lives in Blanco, TX. She is a yoga and meditation teacher as well as Ayurvedic Wellness Consultant. Natalie feels that meditation is a way for each person to bring more compassion to their lives. When we begin with ourselves this effect ripples into the our global community. 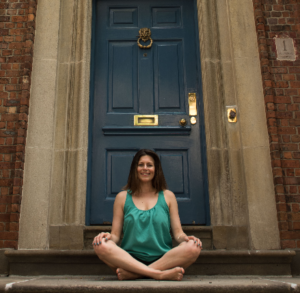 Natalie’s classes focus on the breath and working with welcoming all thoughts and sensations. Each class will also have plenty of quietude with minimal interruption. Natalie loves to practice yoga, hike, play games with her family, cook healthy food and read. 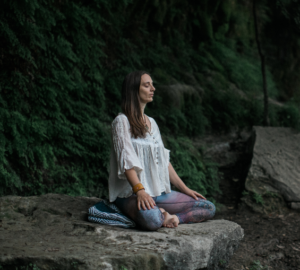 She has been teaching yoga for a decade and in that time has learned much on how to meditate through years of personal practice and experience. Listen to a 25-minute guided meditation with Natalie (Google Drive). 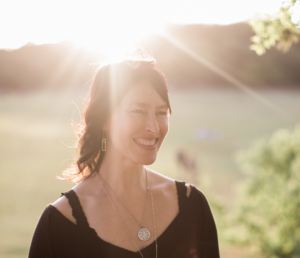 Allison Joy teaches meditation and yoga for vitality, power, and optimal performance. She practices to restore energy, revitalize the body, and rejuvenate the mind. Allison Joy opened Vessel Academy with her teacher, Michael Hewett, in Spring of 2019. Vessel offers yoga the way it was originally intended: one-on-one and in intimate groups with high-fidelity connection between guide & aspirant. She was part of the Management team that opened Three Jewels’ flagship location and launched their yoga teacher training program in 2017. Off the cushion, she loves to be with her husband, Todd, and 2 dogs, Hova and Snoopy. She enjoys discovering inventive plant-based cooking and re-creating her favorite recipes in her own kitchen. Listen to a 25-minute guided meditation with Allison Joy (Google Drive). Anne lives in Austin, Texas, where she’s a copywriter and editor, as well as a meditation teacher. She’s married and has three children, two of whom are grown, and a sweet dog. Anne has also lived in Kansas, Virginia, upstate New York, New York City, Michigan, Chicago, and Pennsylvania. His Holiness the Dalai Lama has been quoted as saying, “If every eight-year-old is taught meditation, we will eliminate violence from the world within one generation.” Anne believes meditation is a key to transforming the world, in part by cultivating kindness and compassion and heightening awareness of our interconnectedness. 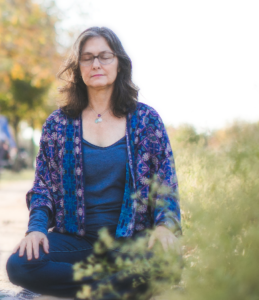 Anne’s meditation classes are ever evolving, but a student can expect elements of loving-kindness and self compassion practices, along with time for silent meditation together. In addition to loving to meditate, Anne loves expanding her knowledge of meditation, the wisdom traditions that inform it, and modern psychology. She also enjoys hanging out with family and friends, spending time outdoors, being a voter registrar, traveling, reading, music, film, and art. Anne has had a daily personal meditation practice for more than four years. 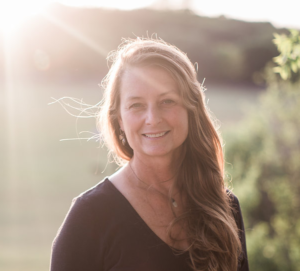 She currently leads two Meditate on the 8’s classes on Mind Oasis, and teaches mindfulness to students in the Austin Independent School District under the umbrella of the Amala Foundation. Listen to a 23-minute guided meditation with Anne (Google Drive). 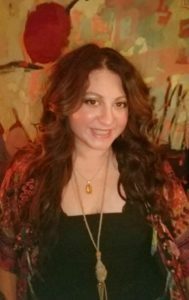 Tinamarie is a meditation teacher and is working toward her M.A. in Mindfulness Studies. Her heart’s and life’s primary occupation of the last 21 years continues to be as the mother of two beautiful-hearted young men, Chandler and Asher. 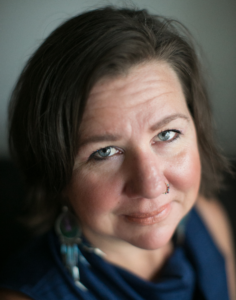 Tinamarie believes that meditation offers us the space to cultivate an awakened sense of being curiously and openly alive and a place to experience compassionate presence. She believes meditation truly has the power to transform our minds, hearts and actions for the benefit of ourselves and of all others. Tinamarie loves to spend time with her sons; this is her favorite activity of all. She also loves to write, practice yoga, read, sing, listen to music, dance, walk under and lie under trees, snuggle, and share tenderly authentic conversations with people she knows and doesn’t know. Tinamarie has been meditating (in Centering Prayer and Shamatha practices) for 27 years and completed Kelly Lindsey’s 300-hour Dakini Meditation Teacher Training in June of 2017. Listen to a 19-minute guided meditation with TinaMarie (Google Drive). Joseph lives in Colorado with his wife Karuna, and their two dogs, Ruby Rose and Stella Bean. He is somewhat of a renaissance man — an inventor, builder, writer, and artist. 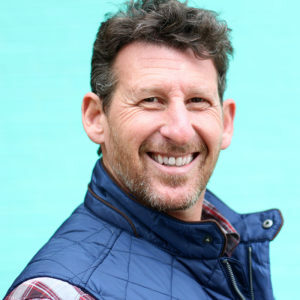 He shares a manual therapy process that combines kinesiology and neurology to recalibrate how we perceive our environment. Being of service and helping people feel more comfortable in their body is a gift he loves to share. Medtiation is the place where we can notice how our mind contributes to our suffering, and the suffering of the world. When we are mindful of our own response to the world around us, we have an opportunity to make a change. If we can simply not add to the suffering of the world then the world can be a better place. In Joseph’s class students will be led to create a foundation in observing their experience. This has three parts: 1) to arrive and take your seat or posture; 2) to settle in and notice the vehicle for the mind, our body; 3) to notice the quality of our breath. Each of these aspects have nuances. We will explore how those nuances influence our experience. Joseph loves to experience movement in his body. He goes for long hikes with his family and takes in the beauty of the mountains. He expresses his creativity through dancing, swimming, and rock climbing. Lena Golden lives in Milwaukee, Wisconsin, where she has decades of experience as an artist, aesthetician, energy healer, and owner of a successful spa. Lena has found that her meditation practice helps her work as an artist. Through resting her mind and turning to a state of inward consciousness, she has found increased creative clarity. Lena helps her clients achieve the same mental and emotional clarity through guided meditation experiences. Lena began meditation and prayer classes as a young child and applied her learnings to her equestrian practices. Visualization was an important technique that helped Lena win equestrian competitions at the state and national level. Over the past year, Lena has strived to further develop her meditation practice. She has studied with Karuna, the Founder and Executive Director of Mind Oasis. From those meditation experiences, Lena has found spaciousness, clarity, inspiration, spirituality, and peace. In Case You Missed It… Donate to Receive the Audio Recording! Join the Mind Oasis community now to receive access to 5, 10, and 15-minute guided meditations in your inbox shortly. Having a problem getting where you need to go? Let us know and we’ll get back to you right away. Copyright © 2017 - 2019 Mind Oasis. All rights reserved.